John Cage taught that “You can become narrow-minded, literally, by only liking certain things, and disliking others. But you can become open-minded, literally, by giving up your likes and dislikes and becoming interested in things.” Despite which, concert promoters and broadcasters continue to use their own personal likes and dislikes filtered by the perceived likes and dislikes of audiences to decide what music we should hear. Not only does this result in the ‘saturation bombing’ approach of composer anniversaries, but it also provokes reaction in the form of the ‘dead composer bounce’ whereby little-known composers are hyped way beyond their worth. In recent years Havergal Brian and John Foulds have suffered this fate, and signs are that George Lloyd – born 1913 - is being lined up for the same treatment as a well-meant alternative to the currently raging Battle of Britten. 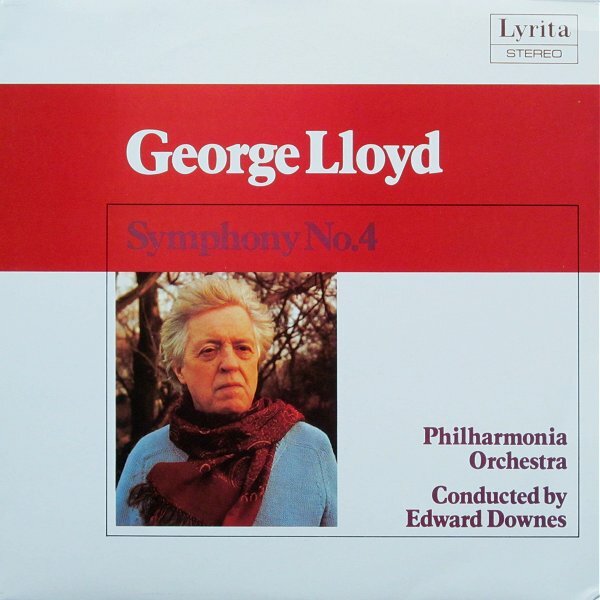 Don’t get me wrong, I am a fan of George Lloyds’s music; I wrote about his Requiem back in 2006 and the magnificent 1984 Lyrita LP recording of his evocative Fifth Symphony plays as I write. Sibelius once commented ‘How endless a lot of well-composed music is – but nothing else than note scribbling. The inner life is absent. They’ve built a huge shipyard – but where is the ship?’ Lloyd passes the litmus test for inner life with flying colours, while the ship is most definitely present. But to promote him as a neglected genius who composed overlooked masterpieces would do him a grave disservice. Elimination of the ego from creative judgements was central to Cage’s experiments with chance techniques. Yet egos continue to determine what we hear, and what we don’t hear, in the concert hall and on the radio. William Glock’s inspired ego trip brought a revelatory diet of the avant garde to the Proms and BBC Radio 3, while his successor Roger Wright’s less-inspired trip brings us musicals and film music. And in 2013 a major London arts festival takes place dedicated to "bringing alive" Alex Ross’ inspirational but highly personal survey of twentieth century music The Rest of Noise - although in a twist worthy of an M.C. Escher lithograph the author stresses he was ‘not involved… in the programming of concerts’. Which is a pity, because if the organizers has applied chance selection techniques to the works listed in the index of Alex’s book, they could have avoided the festival’s distinctly safe synthesis of their own, Alex’s and the audiences’ likes and dislikes. John Cage explained that “Most people who believe that I’m interested in chance don’t realize that I use chance as a discipline – they think I use it – I don’t know – as a way of giving up making choices. But my choices consist in choosing what questions to ask…” Using chance to determine concert and broadcast programmes could make classical music choose the right questions and banish for ever the last gasp of a dinosaur syndrome evident in the 2013 Vienna new year’s day concert. As Cage explains, chance can be combined with choice using filters to make to make the results commercially viable - e.g. that there is at least one ‘box office’ work in a programme, and that in the case of a concerts there is compatibility between the forces required for each piece. Experiments of this nature would result in George Lloyd and other deserving composers receiving mainstream exposure without subjecting them to the perils of the ‘dead composer bounce’. In 2013 I will be experimenting with chance techniques to eliminate likes and dislikes from my home listening, and early results with random selection from my CD and LP collection have been very stimulating – particularly when compared with the broadcast alternative. It is very easy to dismiss the use of chance techniques in classical music programming as idealistic and impractical nonsense. But if we do, we are dismissing the thinking of a visionary who we have just spent a year celebrating. Acknowledgement is due to inspiration from Kay Larson’s curiously overlooked Where the Heart Beats: John Cage, Zen Buddhism, and the Inner Life of Artists. Any copyrighted material on these pages is included as "fair use", for the purpose of study, review or critical analysis only, and will be removed at the request of copyright owner(s). Report broken links, missing images and errors to - overgrownpath at hotmail dot co dot uk Also on Facebook and Twitter.